TOMS Black Friday is here! Save 25% off your entire order now! Free shipping applies on ALL Orders until the end of the year as well! Enter the coupon code CHEER at checkout. Offer valid November 27-December 1, 2014. 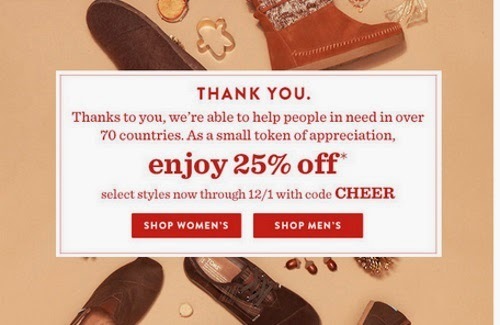 Click here to browse TOMS Canada.